We don't research and write about New York's rich transportation history because we get excited about subway tokens or World's Fair era subway cars. Rather, we seek out information to help us learn from both our past mistakes and accomplishments. 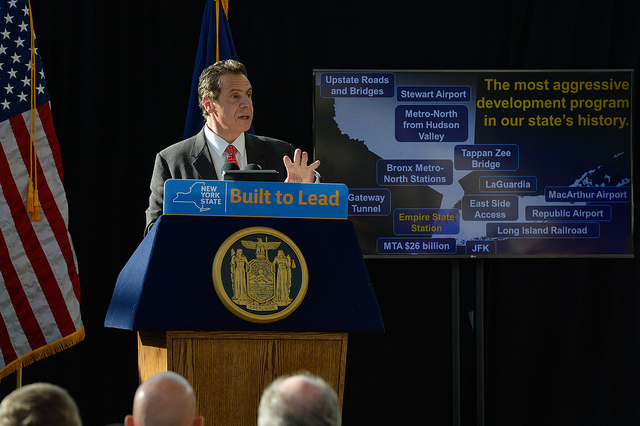 The most important lesson that we have learned is that we can't backtrack on investing in our existing infrastructure. It's easy to be seduced by projects that expand subway and rail lines, but they can't come at the expense of fixing our deteriorating and seriously underfunded transit system. It's an important message to our elected officials in Albany who have not yet approved the MTA's five-year capital program, even though it was initially proposed fifteen months ago. The events from January 12, 35 years ago, are seared in our memories because they remind us what can happen if New Yorkers again fail to raise taxes, tolls, or fares to adequately maintain our transit network. Early that frigid 1981 morning, a train derailed when a motor fell off a subway car. Transit officials diverted buses to carry stranded subway riders; however, there were not enough buses since 637 of them had been taken out of service because of potential cracks in their undercarriages. That day, subway riders on virtually every line were affected by crowding and delays because one-fifth of the subway cars were stalled in subway yards by mechanical failure. Extra maintenance workers were called in but their repair work was hampered by a lack of spare parts. Unfortunately, it was not an isolated event. Trains were breaking down, on average, every 6,600 miles. That compares to more than 140,000 miles today. In the early 1980s, doors were broken on more than one-third of the subway cars while graffiti covered nearly every surface of the cars and stations. Most New Yorkers either aren't old enough or haven't lived in New York long enough to remember the state of the subways in the early 1980s. That is why we find it so disconcerting when we see history repeat itself. New Yorkers got themselves into that situation because they didn't want to raise subway fares and they prioritized expanding the transit system over maintaining the existing infrastructure. At the time, the Second Avenue subway and other aborted major expansion projects had consumed almost half of the transit system's capital budget. The subway system has come a long way in 35 years, but it still has not come back from decades of prior neglect. In the early 1980s, the MTA embarked on a ten-year program that it had hoped would bring the entire system up to a state of good repair. Then, it could replace equipment and components on a regular basis. Keeping a system in a state of good repair is a necessary and expensive undertaking. Few of us think about the MTA's hidden infrastructure like its aging fan plants and ventilation systems, until there is a fire. Likewise, we don't think about the subway's 400 pumping stations until the stations and tunnels are flooded during a hurricane. To understand the MTA's need for more than five billion dollars a year to maintain its resources, just consider the system's buses. The MTA has about 5,700 buses which have a useful life of about 12 years. That means on average, the MTA needs to replace one-twelfth of its buses every year, which is about 475 buses annually. Since 40-foot buses cost about $500,000 and 60-foot buses about $750,000, the MTA needs to spend more than $250 million every single year just to replace its existing bus fleet on a regular basis. Alas, after 30 years and spending more than $100 billion, the MTA still hasn't reached that state of good repair nirvana. Repairing and replacing equipment that goes back more than a 100 years has been far more expensive and complicated than anyone expected. The subway system still has elevators, escalators, tunnel lighting, power systems, ventilation equipment and maintenance facilities that are not in good repair. More than 30 years of investments has transformed the transit system, but it has also put the MTA under enormous strain, because it has been paid for with more than $34 billion in loans. That is why the MTA is now spending more than 30 percent of the revenue it generates from tolls and fares to paying off its growing debt. If the MTA doesn't get the resources it needs, transit services will suffer both in the short-term and long-term. And, allowing facilities and equipment to stay in a state of disrepair is costly because older equipment breaks down more often and requires costly repairs. Failing to raise sufficient funds while simultaneously trying to expand the transit system got New York into a jam in the '80s. The MTA is now spending $11 billion to bring the Long Island Rail Road into Grand Central Terminal, a project that will have widespread benefits for New York, but one that has taken resources away from rehabilitating the existing system. We want everyone to remember January 12, 1981 because the MTA is again being pulled and tugged in numerous directions to expand the system without sufficient funds to pay for them.